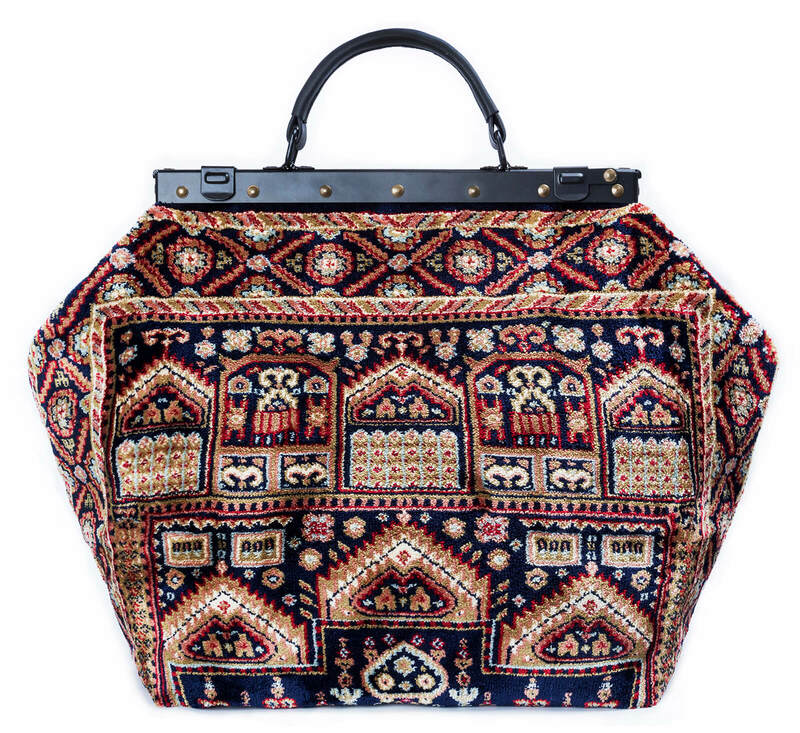 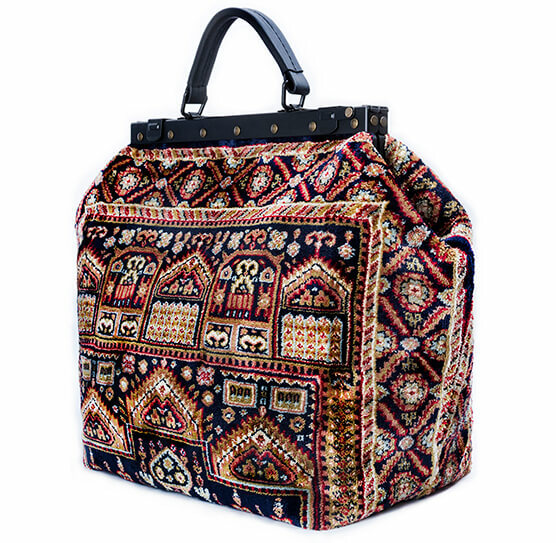 SAC-VOYAGE Intarsia Navy Victorian Carpet Bag. 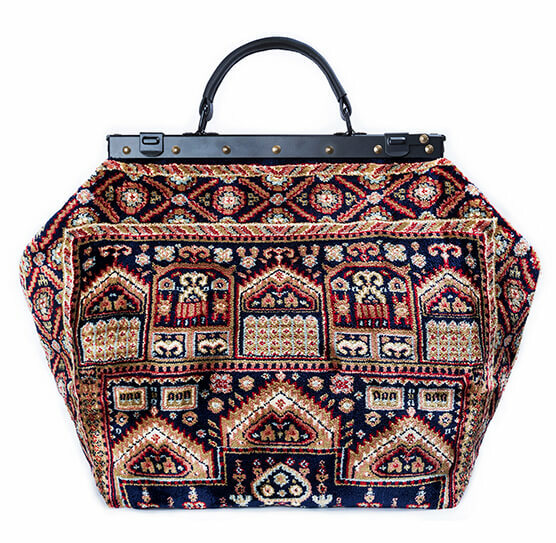 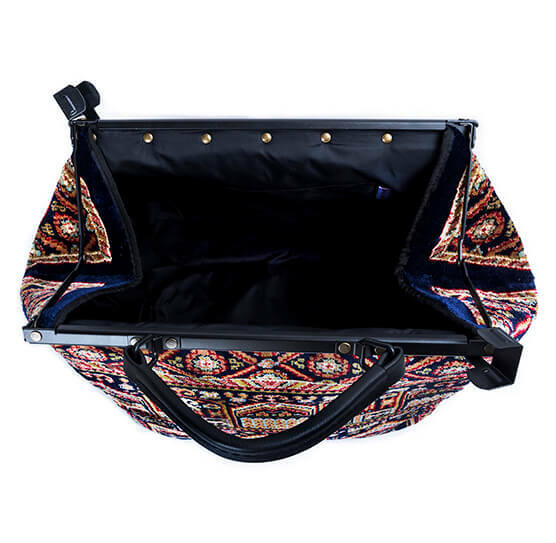 Real magical Mary Poppins Vintage-Style Carpet Bag with leather handle and detachable strap. 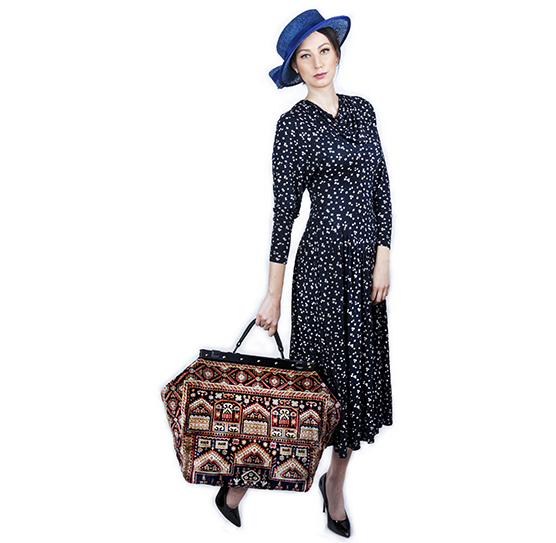 H40cm (16"), W56cm (22"), D22cm (8.5").